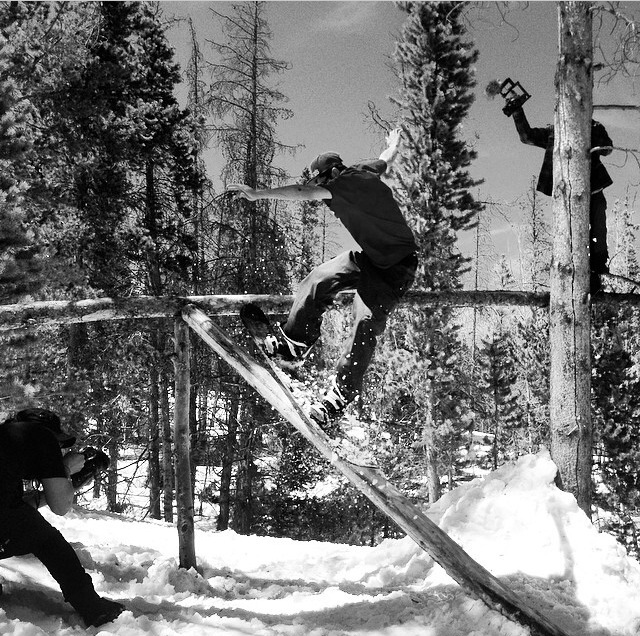 No matter where I’ve lived there’s always been a snowboard scene. It’s something that I’ve learned to expect in my travels whether being on the East Coast or the Pacific North West. 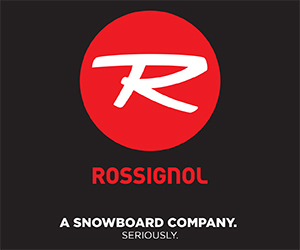 These scenes become little microcosms of the snowboarding world and whether you choose to become a part of them or not, they’re there doing their own thing. Colorado is no different from any other place like Tahoe, Utah, the Northwest, or even the East Coast. There’s local legends, local pros, and local heroes. There’s stories and history that get handed down and swapped from one cycle of fresh young shreds to the next. 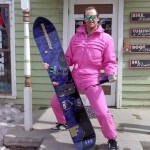 To even go into Colorado’s shred history would take countless hours and time, something that is better suited for a visit of the Vail Ski and Snowboard Museum. 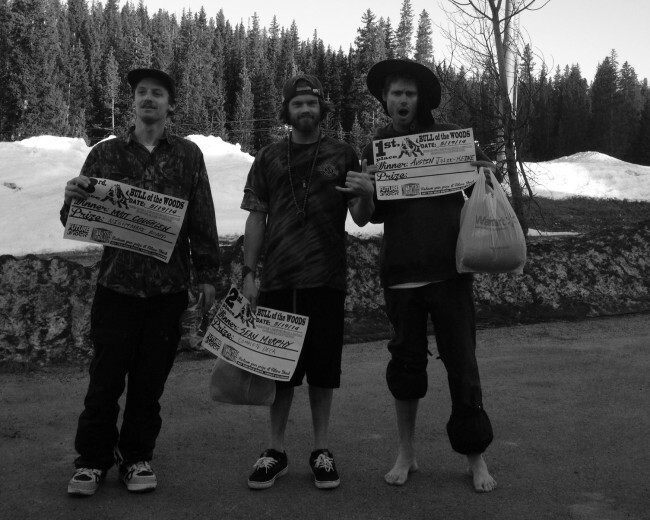 On Monday May 19th history was made once again for the snowboarding scene inside this state. I was able to be there to document one mans dream come to fruition with the help of local key players in what can only be described as the best contest in Colorado, the first and hopefully annual Bull of the Woods. The Bull of the Woods. The title says it all. 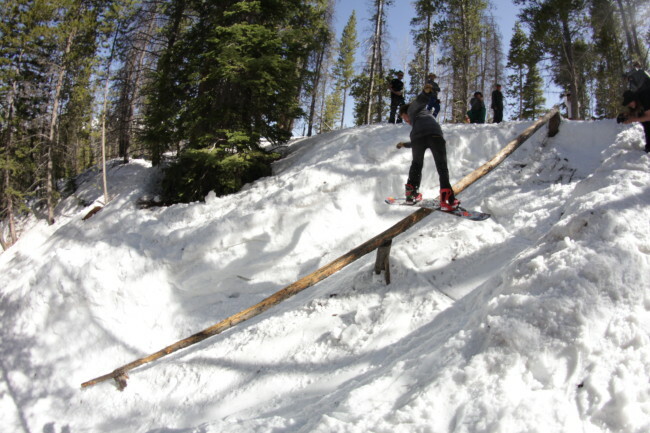 The premise for the contest was to showcase the logging community of Colorado’s ability to adapt to new and unique features while being totally rider judged. The course consisted of five zones, with the first four being for qualifiers and the fifth zone for finals, each with unique and individual features. 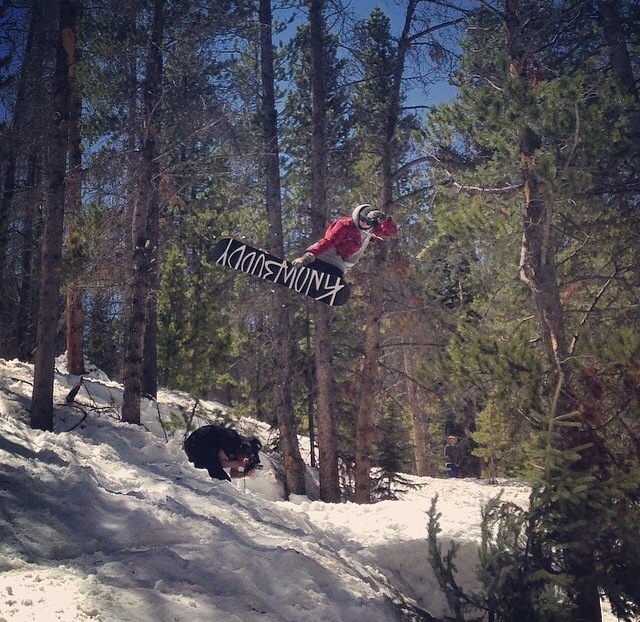 Murphy with a proper front board down Robert Downey Jr. log. Zones 2 and 4 were where you wanted to be to watch progression go down. Zone 2 had two features a skate quarter pipe complete with death box into banked turn or a drop down into a hip. The hip was where a lot of riders chose to send it. Zone 4 featured a forty foot down log appropriately named Robert Downey Jr. Somehow Matt Coughlin turned this into the photo below. Matt Coughlin lands his methods into boardslides on wood, like a real man. Zones 1 and 3 featured one obstacle each. In zone one it was an up to flat log with two urban approaches on the side with a nice drop down for the landing. Zone 3 brought us the lightening log with multiple ways to hit it or at least kill yourself trying. In zone 5 the final zone there was a plethora of logs and other obstacles to choose from. At the very top riders could choose to hit a natural step down over a rock into an up flat log that also doubled as a hip or to drop straight down the run to go under the bridge into the up left down. Most opted to go for the step down. If one opted to not hit the bridge there was a pole jam to flat. Then of course at the very end of all this log and obstacle madness was The Logness Monster, 30 feet of flat into an abrupt rainbow. The big thing about this event is that it brought together all the various crews inside Colorado without any attitude or conflict. Everyone was there to enjoy the day and take in the whole festivities. As one rider said, “This shits on the Bonezone and anyone that says Colorado doesn’t have a local scene.” I couldn’t agree with him more. For anyone doubting that Colorado has more to offer than contest jocks, mega tourist resorts, and a dying trade show this was the gathering that showed that. 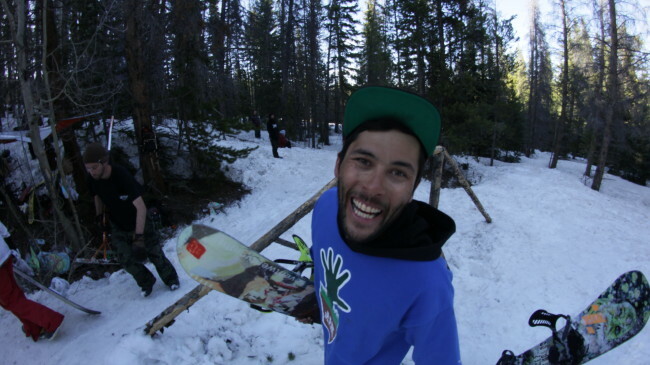 Zach Griffin AKA ZGriff all smiles at his favorite place on earth. Ronnie and Moses proud of what they helped build. A big round of thanks to Josh Moses, Ronnie Bar, and Zach Griffin for putting together the course and this event. 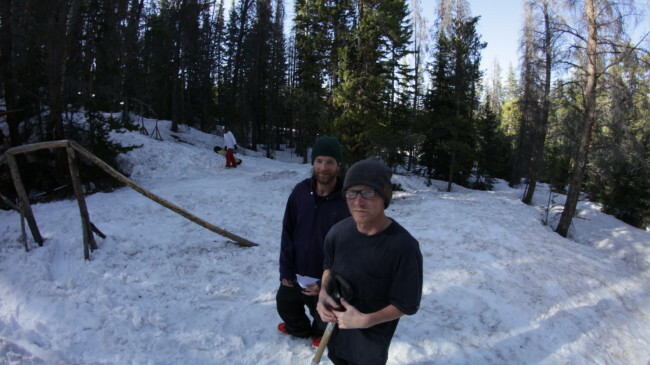 Jake Levy from JibNature and Joe Suta from Nightmare Snowboards for providing the prizes. 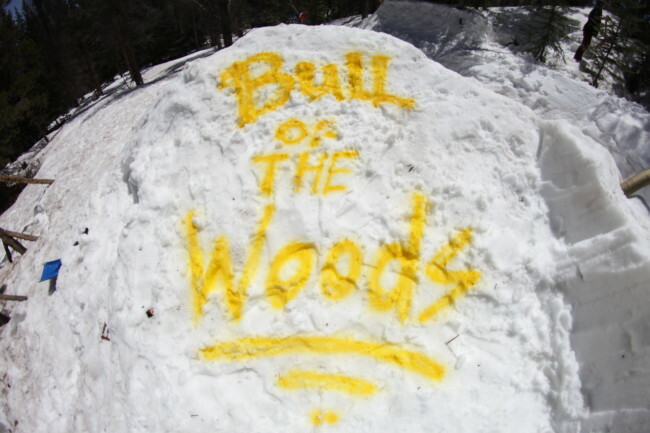 Look for the edit coming soon and if you’re on Instagram search #bullofthewoods for more videos and photos of this awesome event.